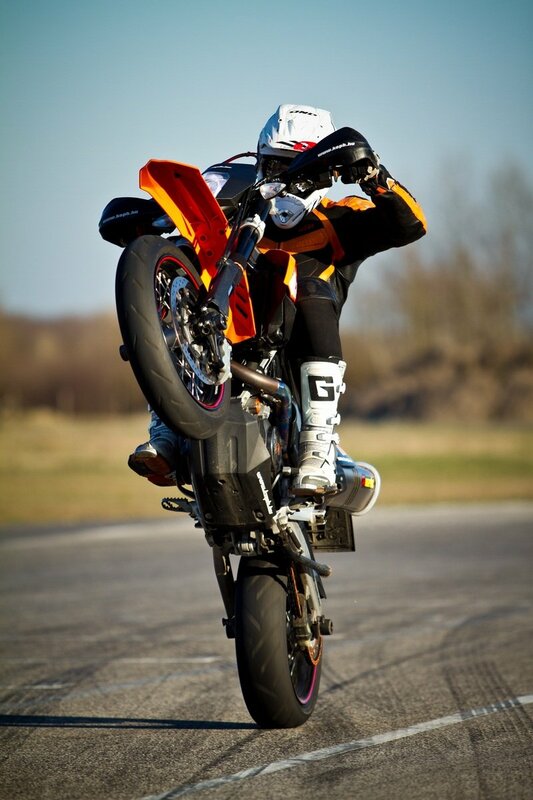 In building the KTM 690 SMC R, KTM adhered to one motto: "what isn’t there doesn’t weigh anything either." 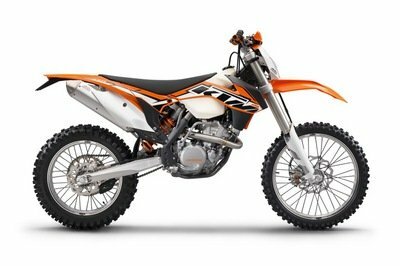 It sounds a lot simpler than it looks, but KTM did a fantastic job following this saying with the 690 SMC R while fitting it with a new 690cc LC4 single-cylinder engine, an improved chassis, and world-class Supermoto ergonomics. 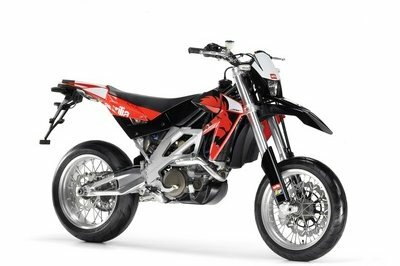 Really, everything you’d want in an enduro bike is part of the entire 690 SMC R package. 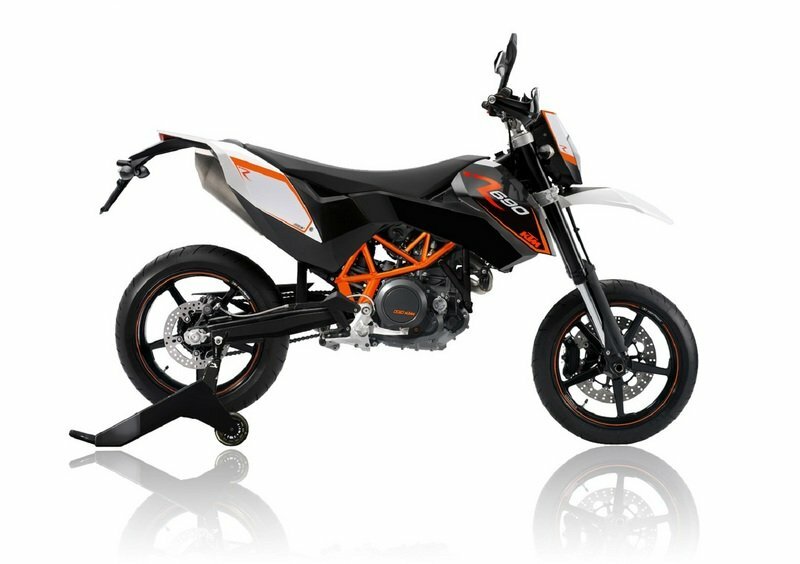 The new 690 SMC R is an unrivaled Supermoto for the most demanding requirements, which leaves all others in its wake. It is suitable for racing or everyday use, features a potent design, and is state-of-the-art. Talking about its ergonomics, the 690 SMC R comes with a self-supporting rear fender/fuel tank unit that’s made from robust plastic bears with a new, equally comfortable and low seat. The redesigned tank fairings and the ideally angled, wide aluminum handlebars form a perfect arrangement, allowing for simpler controlling and navigation on any kind of road surface. Then there’s the bike’s state-of-the-art, water-cooled LC4 single-cylinder engine that delivers an impressive 66 horsepower, combining powerful acceleration from the lowest rpms with an outstanding free-revving nature and refined engine running. The bike’s electronic engine management system features fuel injection that offers the rider the choice between three different mappings for influencing the engine characteristics. 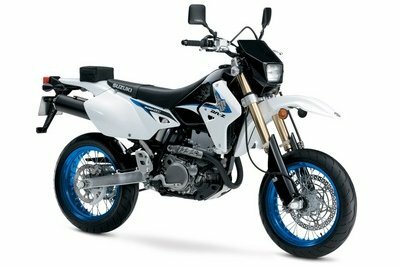 Likewise, the "electronic power throttle" ensures that the throttle commands from the rider are translated electronically into the optimum throttle valve opening at all times, giving rise to tremendously progressive power development that very few bikes in its segment can compete with. 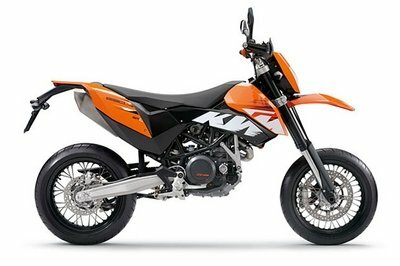 Find out more about the KTM 690 SMC R after the jump. 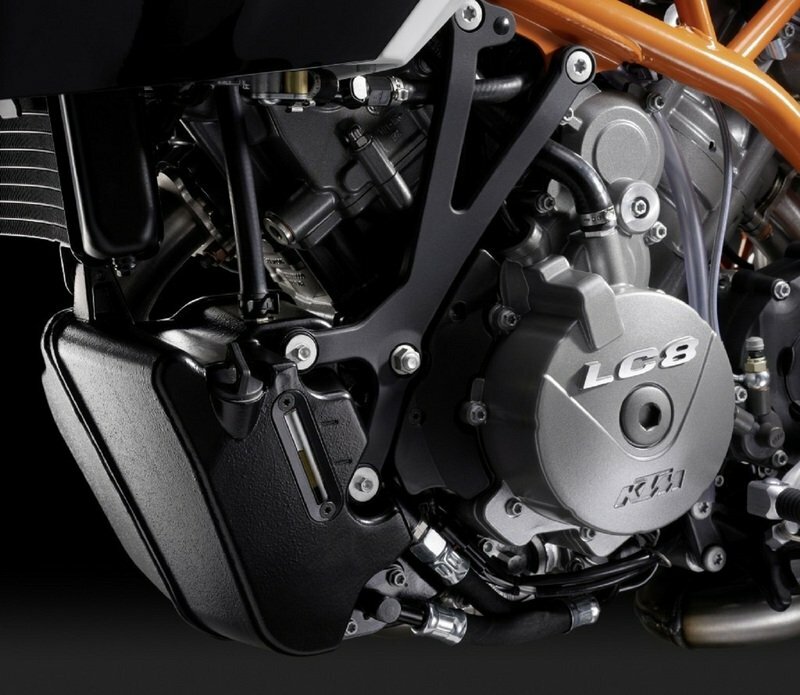 Thanks to a larger displacement, the new 690 SMC R’s state-of-the-art, water-cooled LC4 single-cylinder engine now delivers an even more powerful 49 kW (66 hp). It combines powerful acceleration from the lowest rpms with an outstanding free-revving nature and refined engine running. It consumes even less fuel and saves its owner even more money, thanks to service intervals now being extended to 10,000 km. Annoying rear wheel chatter? Prevented reliably by its anti-hopping clutch that’s fitted as standard. The finely balanced crank drive of the 690 single-cylinder converts terrific combustion pressure into unrivaled single-power - thanks to its balancer shaft, which eliminates vibration without having any detrimental effect on the life of the super-single. 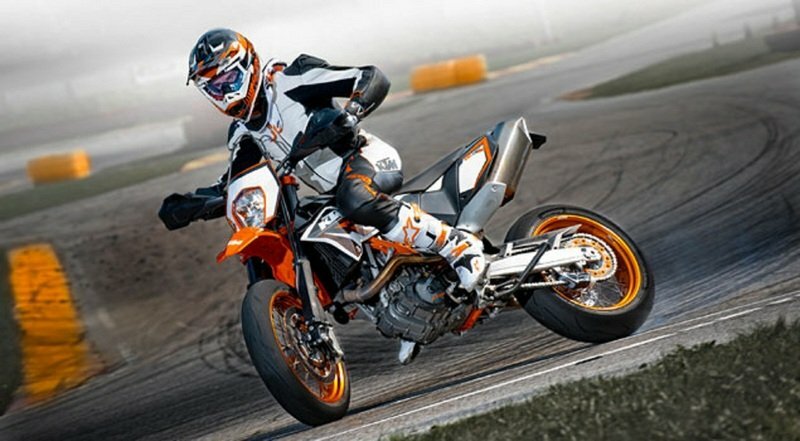 The new 690 SMC R numbers among the most powerful curve-bandits on the road. Apart from the radically optimized suspension, two major contributors to its excellent tracking stability are the lightweight tubular space frame made from chrome-molybdenum steel and the high-quality die-cast swingarm - both of them extremely torsion-resistant. From professionals, for everyone, and even better tuned for 2012: The new 690 SMC R’s WP upside-down forks, with a whole 250 mm of suspension travel and 48 mm outer tubes, are adjustable in many ways and master the balancing act between everyday use and attack with the greatest of ease. Elaborately machined triple clamps provide the forks with precisely the right level of stiffness for the most demanding maneuvers and the best possible grip - with minimal extra weight. Likewise retuned: the pivot-arm articulated WP pressurized-gas monoshock with 250 mm suspension travel even features high-speed and low-speed compression adjustment. The new 690 SMC R’s extremely powerful and easily applied Brembo brakes impress with outstanding controllability. At the front wheel, a radially-mounted, four-piston, fixed brake caliper bites onto a floating 320 mm brake disc. The self-supporting rear fender/fuel tank unit made from robust plastic bears a new, equally comfortable and low seat. 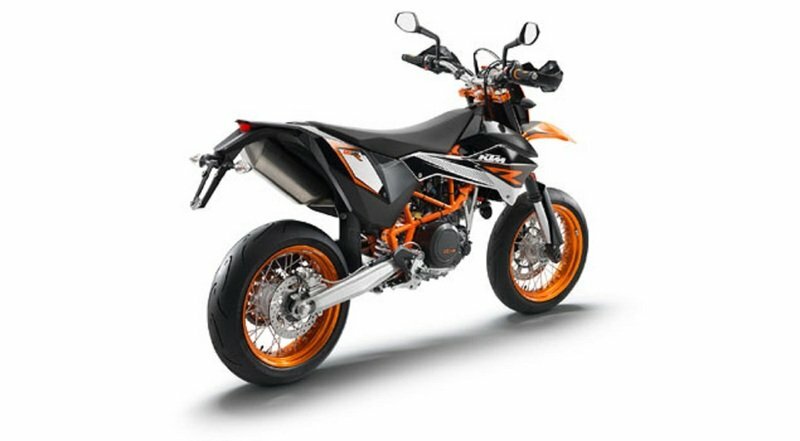 This is augmented by redesigned tank fairings and the ideally angled, wide aluminum handlebars to form a perfect arrangement that makes controlling the new 690 SMC R even simpler - both on the road and on the track. Superb handling, remarkable versatility, perfect vehicle control both on the road and on the track, plus excellent contact points and maximum freedom of movement for hitting the gas with commitment – 690 SMC R 2012.
polymer tail tank ensures that skilled riders can sling the 690 SMC R effortlessly into any corner. An adult toy for experts!" Bikez----"What isn´t there doesn´t weigh anything either - the new 690 SMC R is designed according to this motto. An even more powerful LC4 single-cylinder, a further improved chassis, even better and equally more comfortable Supermoto ergonomics - what could make a drifter happier¿ The new 690 SMC R is an unrivalled Supermoto for the most demanding requirements, which leaves all others in its wake: suitable for racing or everyday use, potent design, state-of-the-art." 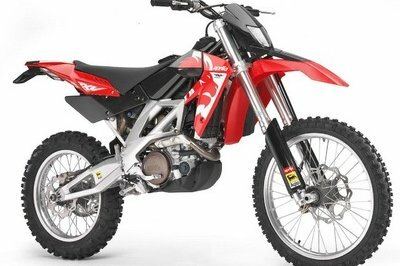 Yeah, this dirt bike looks so simple. But with 600cc power, you will surely fly the hell out if you go through a high ramp.